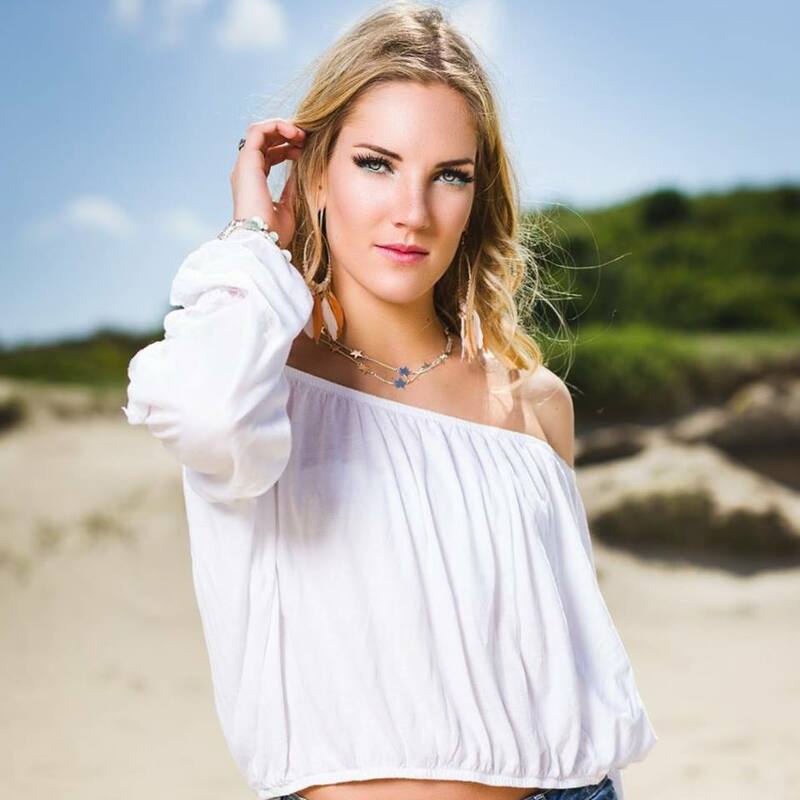 Milenka Janssen just has to love pageants as she already participated in both national en international beauty pageants. She was Miss Teen of Zuid Holland 2016 and represented the Netherlands that year at the Miss Supranational pageant, where she became the first semi-finalist of the Netherlands ever. Last year she became Miss Beauty of Zuid Holland and won the Top Model competition at the finals over 35 other participants. So no newcomer in the world of beauty pageants, but who is she anyway? We asked this blond beauty 10 questions. Milenka by Marco ter Beek. One of the official photo’s for Miss Intercontinental Netherlands 2018. I’m a 19 year old outgoing girl from The Hague. I love outdoor sports and animals, but my favorite thing in the world is food! I study sports and lifestyle at the Sportcampus in the Hague and I’m in my last year right now. I still live with my parents who support me every time I participate in a pageant. My friends will tell you that I’m crazy and hyperactive sometimes but I can be very serious as well. I also have a very sweet boyfriend who even flew to Poland to see me during the final of Miss Supranational! I entered the world of beauty-pageants in 2016. I got scouted for Miss Beauty of Zuid-Holland and I thought ’ why not?’. I won the title Miss Teen of Zuid-Holland 2016 and I became 1st runner up Miss Teen of the Netherlands. Then the big surprise came because I also became Miss Supranational Netherlands 2016: I got to go to Poland and Slovakia for a very big pageant! Netherlands had a top 25 spot for the first time in the Supra history and that made me pretty proud. I realized: this is what I want to do. That’s why I went to the casting of Miss Beauty of Zuid-Holland 2018 and I won again. What did you take with you from the Miss Supranational pageant to this years Miss Beauty of the Netherlands pageant that made you one of the 5 winners? I was a little bit shy while participating in Miss Supranational but I always did my very best. I’ve learned that I need to make sure that I stand out ( In a positive way) so that the judges would notice me. So this year during Miss Beauty of the Netherlands I did my very best to stand out from the very beginning. I think that that really helped me to become one of the 5 winners. How do you prepare for the international competition? I already have had the experience of an international pageant, so that gives me a step ahead. I’m also hitting the gym to get in my best shape. Doing some research about model pageants helps me to prepare as well. And I can’t forget the catwalk training and help from my international directors! Do you consider Topmodel to be a beauty pageant or a model competition, what do you consider to be the main difference between these two competitions. I think that Topmodel is a beauty-pageant, but you need to be a strong model as well. It’s a combination between those two. Beauty, Brains and Modeling skills are a must. I still consider it a beauty- pageant although the winner won’t win a crown. Name one thing a beauty queen/model should not forget to bring with her to an international competition and why? Fashion tape! It will save you over and over again. Just tape everything in the right place and you won’t have to be afraid of you dress going everywhere! I have 5 rolls of fashion tape at home and I even tape my over the knee boots to my leg so they won’t sag down. What do you think is the main difference between a model competition and a beauty pageant? A Beauty pageant has multiple categories such as evening gown, bikini and the question round. They test you to see if you have the beauty, the brains and the elegance to win the crown. A model competition focuses on your modeling skills and how you perform on a catwalk of on a picture. You need to have strong poses and different faces and of course a tall and slim body. What will you tell the other girls about the Netherlands and why? I will tell them about Doutzen and Romee ofcourse! The Netherlands has a lot of natural beauties that have some real model skills! I’m a proud dutchie and I will show them how we do! The Topmodel from which country would you like to meet the most, and what are you going to talk about? I would love to meet Miss Vietnam! I’m planning on going there with my boyfriend and I would love to ask here some questions about her country because it’s so different from the Netherlands. I love to learn more about foreign countries so I would love to meet every contestant! What about Milenka in 10 years? Hopefully I will have a nice job and a husband and kids. By that time I will be 29 but I hope that I still have some modeling jobs by then. Let’s hope so! We would like to thank the always so friendly Milenka for taking the time and also Milou and Charina of the Miss Beauty of the Netherlands organization.